It's been awhile since I've done a movie review. The first time I saw the trailer for Krampus, I was like Oh...Wait What? !...What!...Oh, I am seeing this!!! It's a Christmas horror movie. We rarely get one of those and they're usually slasher flicks. Krampus is supernatural. My kind of movie. I wasn't disappointed. "A boy who has a bad Christmas ends up accidentally summoning a Christmas demon to his family home." Let's take a moment and enjoy that fact that there is a Christmas demon. The move didn't make it up. Krampus, in mythology, punishes bad children during Christmas. It's the anti-Claus. The movie is silly and not in a bad way. It's one you don't take seriously. Just enjoy the ride and don't think too much about it. 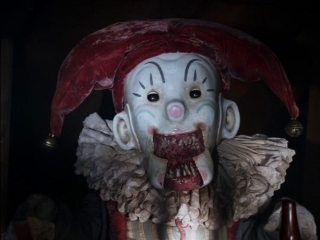 Krampus totally twisted the Christmas theme. All the monsters were holiday related. Even Krampus (the Christmas demon) was dressed like Santa Claus carrying a big red bag full of badness. I have to hand it to the movie. The monsters were...wrong on so many levels. They even had killer gingerbread cookies. That's messed up. I wouldn't say they were scary. At least I didn't find them terrifying. As a horror fan, I enjoyed them. The movies wasn't all that scary. More twisted. It was gore free, which I like. It even had some funny moments. I generally don't like mixing comedy in my horror. 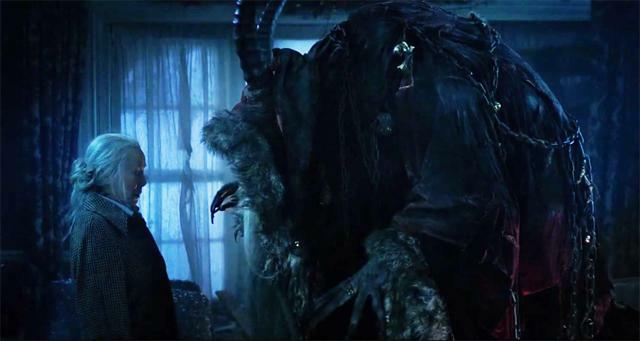 Krampus did it in a way that didn't take too much from the horror. 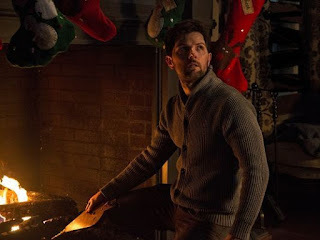 Since it's a horror movie surrounding a family at Christmas, I expected it to be horror-lite. You know, the family would be terrorized but nothing really bad would happen to them. I was so wrong. No spoilers. Anyway, that family was a mess. Reminded me of Christmas Vacation- the well-off family having their not-so-rich side stay with them for Christmas. They were total stereotypes. They were memorable for some of the things they did. Though, I admit, I can't remember many of their names. They didn't have any depth. But, that was fine for this type of movie. And Omi (Krista Stadler). They had the most depth. And Omi was a badass. Max looked sweet and adorable but he'd beat someone up for bad mouthing Christmas. Same with Omi. She looks like this sweet grandma but she's got some steel in her. 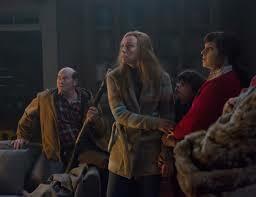 I was impressed with how they portrayed Beth (Stefania LaVie Owen). She didn't get much screen time. She's the cliched hot older sister. They're usually mean and intolerable. She wasn't. I wish they did more with her. Then there's Tom (Adam Scott). I haven't seen any of his other movies. I liked him in Krampus. His character was another surprise. The movie tried to play him of as this weak city boy until he started shooting monsters, then he became extra awesome. That ending though, no spoilers, but I was about to be real angry at that ending. It fixed itself. 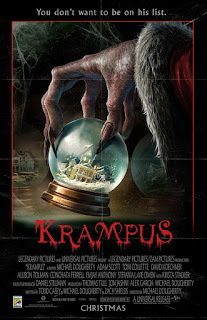 Overall, Krampus isn't a blockbuster but it's not a disappointment either. I don't feel like it was a waste of money. I'd watch it again.